safeTALK is a 3½ hour training course that can help you make a difference. Know what to do if someone’s suicidal by following the easy to remember TALK steps – Tell, Ask, Listen and Keep-safe.These practical steps offer immediate help to someone having thoughts of suicide and helps you both move forward to connect with more specialised support. 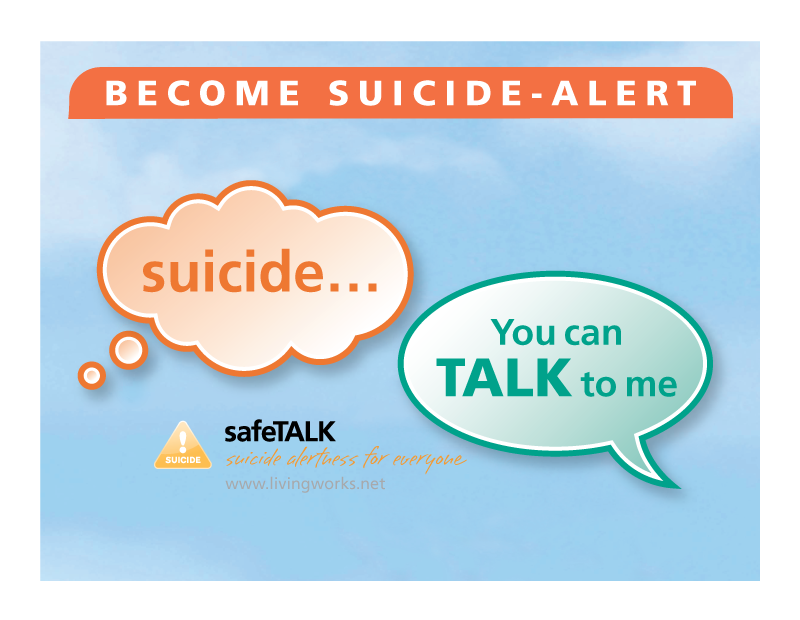 The safeTALK course was developed by LivingWorks in Canada and is delivered worldwide. It complements the more comprehensive 2 day ASIST course by conveniently widening the net of suicide alert helpers to ensure that thoughts of suicide aren’t missed, dismissed or avoided. The safeTALK course is based on the principles of maximum dissemination and minimum cost. ASIST supports the National Service Framework (NSF) Standard 7, which looks at suicide prevention. To find out more about any of the sessions listed, please call 01978 364777 or email info@abfwxm.co.uk.